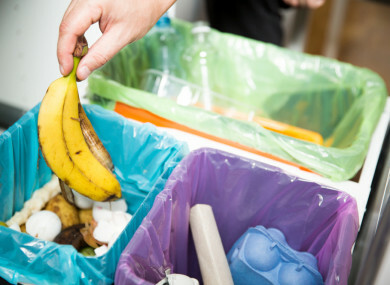 A new initiative is helping businesses move towards a zero food waste strategy. BUSINESSES IN EAST Cork are leading the way in the battle against food waste with a new initiative launched this week. The Savour Food pilot programme involves working with local food processors, retailers and the food services sector in east Cork to help move these businesses towards a zero food waste strategy. Ireland generates 1.1 million tons of food waste every year and it is estimated that 40% of this comes from food production, while another 34% is generated in the commercial sector. The programme said it helps the businesses to streamline their processes, “focusing on practical, environmentally friendly and socially aware best practice as well as implementing the very latest in technological developments to reduce waste”. Spokesperson for the initiative James Hogan told TheJournal.ie said his team starts by asking businesses to look at how much food waste they have, to weigh it, and to look at what is in it. “So are they throwing out a lot of potatoes, or toast or vegetables? What are the things that are in there, and then we ask ‘why?’. Why are you throwing away so many chips? And that goes back to production or it might go back to spoilage or storage issues, or over-purchasing. It could be down to portion size. As well as encouraging businesses to cut down on their waste, Hogan said they will also be encouraging them to donate it to organisations like FoodCloud, which collects surplus food from retailers and delivers it to charities. And Savour Food plans to expand on the advice it gives to businesses and look at their energy and water waste, to help them keep costs down. “When we’re talking to businesses, we talk to them about how much money they’re going to save. Realistically, companies start listening when you talk about reducing costs and if they’re doing that using sustainable methods than all the better,” Hogan said. Savour Food is supported by The Clean Technology Centre at Cork Institute of Technology (CIT), Taste Cork and SECAD (South & East Cork Area Development. This pilot programme is funded by the Department of Agriculture, Food and the Marine – Rural Innovation and Development Fund. The programme is hosting two short information sessions on Tuesday 13 and Wednesday 28 February. Attendees can learn about reducing their food waste, saving costs and getting further benefits from free on-site consultancy. Email “'Why are you throwing away so many chips? ': How east Cork is tackling its food waste”. Feedback on “'Why are you throwing away so many chips? ': How east Cork is tackling its food waste”.